We are building mobile-friendly tools to help inform vulnerable immigrants of the risks they may face in their neighborhood or workplace, as well as enable legal aid groups, community organizations, and activists to mobilize rapidly to protect immigrant communities. These tools will deliver real-time, location-based, verified information about immigration enforcement activity. Our toolkit consists of three parts: reporting, verification, and alerts. 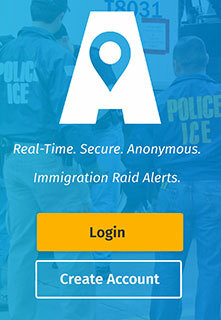 Witnesses can report nearby immigration raids and other enforcement activity on our mobile-friendly reporting website. Local raid rapid response networks will then use our verification tools to verify that the activity is taking place. Once a raid or activity is verified, alerts will be delivered to nearby users via our secure mobile app. We aim to have the mobile alerts app ready for testing by local rapid response networks in mid-2018. Organizations can use their own raid reporting and verification systems in conjunction with the alerts app as we continue development on the reporting and verification aspects of our toolkit. How will RedadAlertas protect user privacy? We have designed the mobile alerts app so that user information is never stored on our servers, and cell carriers do not know who is using our service. The app has Tor built into it, which anonymizes the users accessing our raid database. This design allows us to provide the highest standard of security and privacy. Our first responsibility is to do no harm, and we do not want to expose users concerned about privacy to unnecessary surveillance. 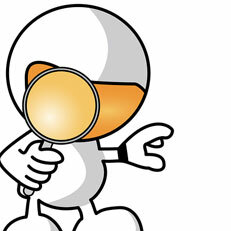 We do not collect identifying information like phone numbers or IP addresses. 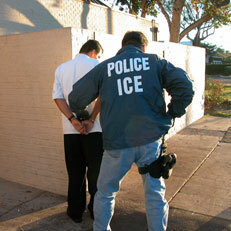 For reporting immigration enforcement activity in progress, we will still utilize a website. Witnesses can use this website to quickly report raids and initiate a response from advocates, without waiting to install a special app during a fast-moving situation. 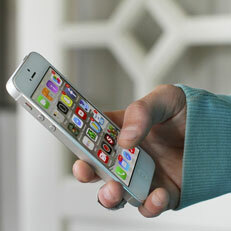 Users who already have the mobile alerts app can also use it to securely access the website and submit a report. RedadAlertas was created as an open-source project by Celso Mireles, a formerly undocumented software developer and tech activist based in Phoenix, AZ. Over a dozen developers, organizers, and legal experts from around the country - many of whom are immigrants - have joined the project and are volunteering their time to build the app using collaboration and open-source tools. We are currently looking for people with experience in secure app development, public relations, nonprofit/NGO coordination, and immigration law to join us as volunteers or consultants, and for liaisons with local raid rapid response networks in any area of the United States. We especially welcome those who are affiliated with the affected communities to help play an integral part in development and operations. 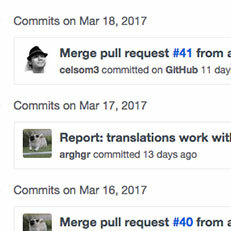 Why is this an open-source project? 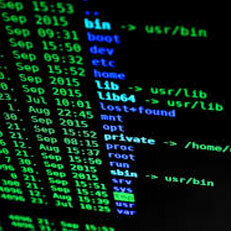 Open-source software increases the quality of the codebase, and can be more secure. The code created is open for other experts to audit, critique, and point out vulnerabilities. With open-source software, instead of having to trust a few unknown developers, you are trusting a community of developers that are monitoring, auditing, finding issues, and helping fix them. developers contributing their time and expertise.